Ryzen is possibly the most prominent form of competition for the Coffee Lake family of chipsets. However, the Intel CPUs have dominated the market since the release of both lines. Now, however, Ryzen appears to have opened a lead on them (if a very slim one) in these terms. AMD’s Ryzen line is the main competitor for the subdivision of Intel CPUs that contain the 8th-generation i7s, among others. Sales of those processors have enjoyed a comfortable lead over those of Ryzen for pretty much all of this year. However, a report released by the major German retailer Mindfactory has indicated that the AMD chipset family have finally overtaken their Intel counterparts in the CPU sales race. A chart from this report has been reproduced on Reddit by the user ingebor. It shows that the market share for the AMD and Intel processors for July 2018 were roughly 50/50. However, a few hundred CPU sales more gave the actual lead to the Ryzen chips. 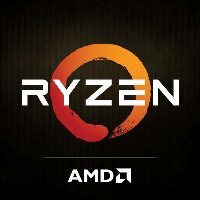 The tech website wccftech.com has attributed this new, albeit slight, lead to a campaign of discounts and sales for Ryzen products. On the other hand, Intel is still the market leader in terms of total revenue. The company commanded 58% of the actual takings from CPU sales in the same month. This translated to about US$2.2 million in earnings, whereas AMD took about US$1.6 million in the same period. These interesting results may influence AMD’s strategy in the future, particularly when it comes to customers seeing any more deals on Ryzen products - or their successors.